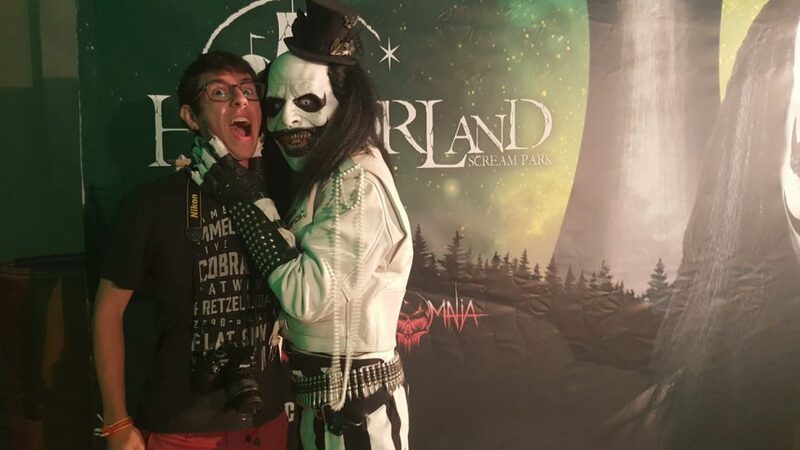 If “Whats a scream park?” is the first question that comes to your mind when reading this article, I recommend reading first our previous article about Horrorland. Long story short, it’s an horror event near Barcelona featuring 5 haunted houses, an escape room, an extreme room, walk-around characters and areas of games and food. 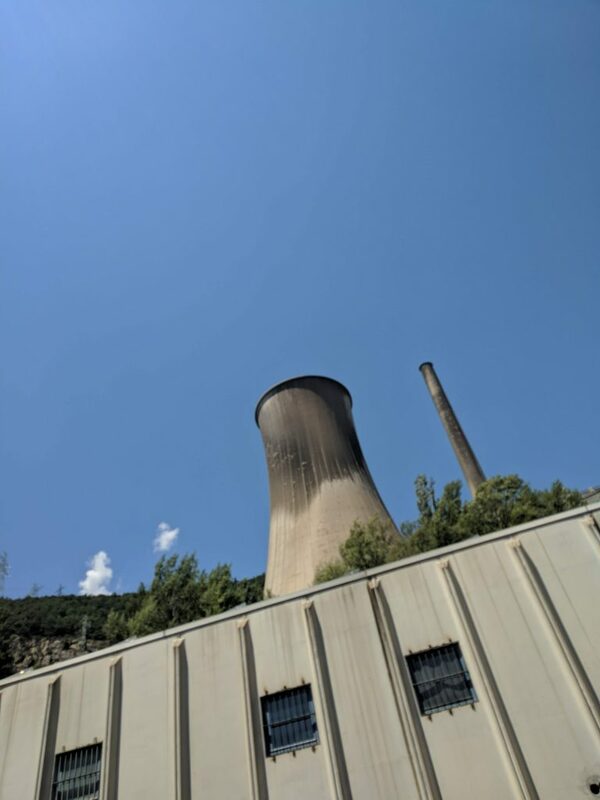 On July 25th, we found ourselves driving through a sinuous road to the event area, an industrial park set at the feet of an old thermal power plant. The venue is ideal for this kind of event as it sets the mood even before getting there. 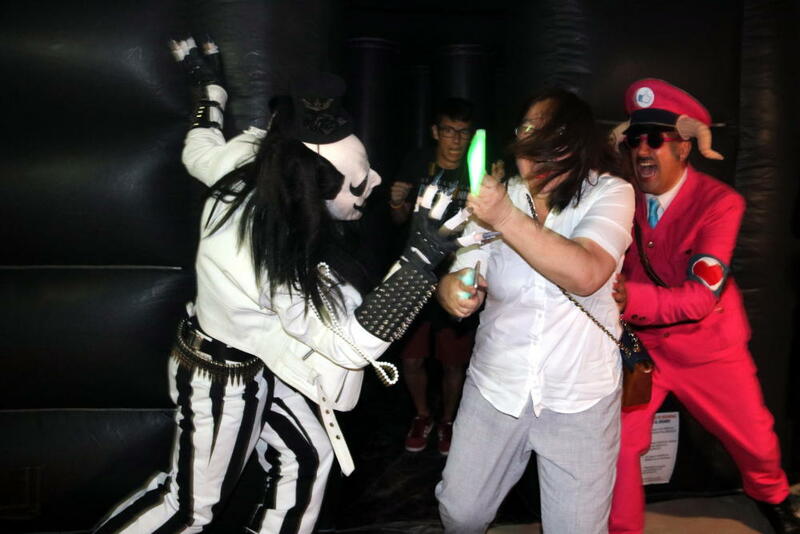 Horrorland is the result of two local companies: Horror Box and Insomnia Corporation, both terror lovers and experts that have some horror escape rooms in the area, all praised by those who played them. They came together to bring to Spain what they’ve been seeing around the globe: an ambitious horror event just like the ones around Europe and USA. The difference is that this one is only promoted by the two couples that form the two companies, that’s to say 4 people (even though they have dozens of workers contributing with their crafts to the park). They don’t have any big brand behind and they managed to raise money enough thanks to the people who was interested in the park and bought the tickets anticipatedly, without even knowing what a scream park is like. Remember that the closest scream parks are in the UK and Germany so for lots of people this will be a brand-new concept. 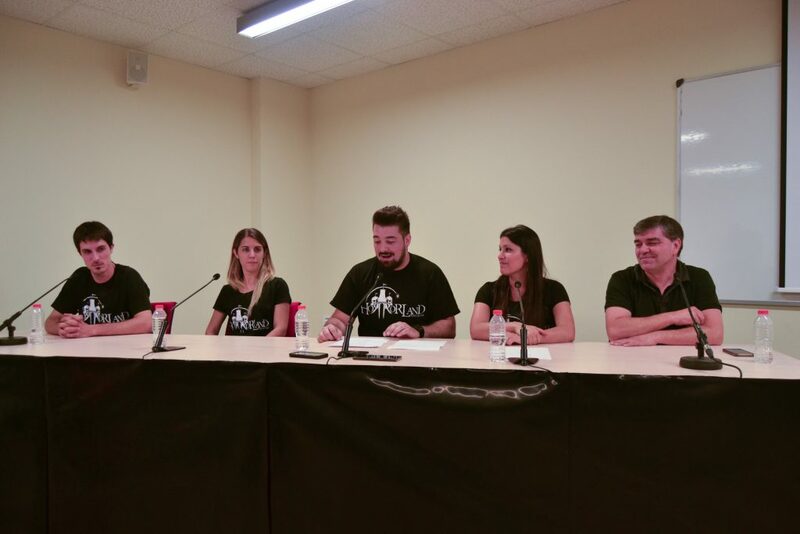 As horror fans, their desire was to bring closer to Spain those kinds of events, so they did it no matter what. And I think it’s admirable and worth the visit just to see the results of their effort. This is the name of the main character of the park, named Mortimer after a rejected name for Mickey Mouse. It’s a remembrance of black and white cartoons and silent movies and that’s why he wears white and black and doesn’t talk. That combined with hand-made specifically designed costumes provides a perfect characterization for maze and street characters alike. Impressive animatronics were also imported from the States just like this one they had on display. It appears from behind some bushes and raise up to 3 meters in the air, moving his hands and arms and featuring flashing lights and loud sound. But the main attraction here are the haunted houses so let’s take a look to what we know up to today! 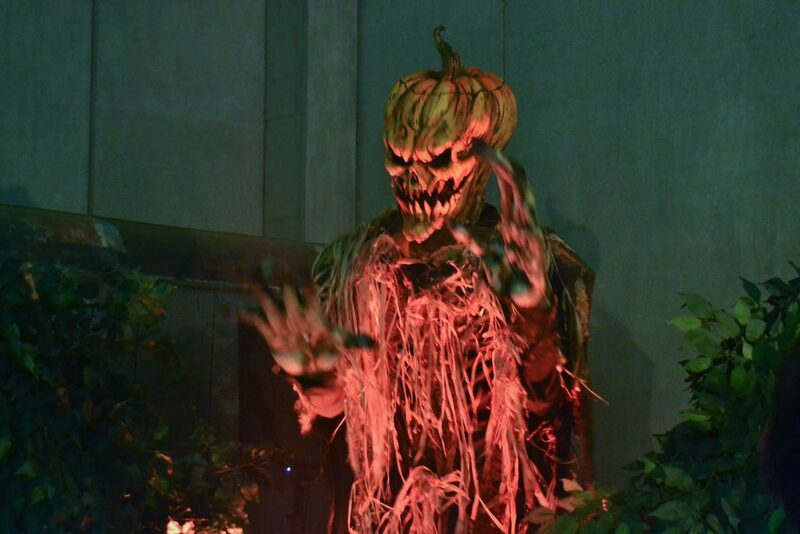 The lineup of this year’s event will feature 5 haunted houses, all with a different theming and different dynamics that make each house unique. 1) La Térmica (The Power Plant): this maze is created after the location of this park. Up in the skies there’s the big chimney, but down the slope of the mountain there’s a beautiful lake. What if this lake has mutant creatures? That’s the idea of “La Térmica”, a maze with different ways to get out. 2) Matadero (Slaughterhouse): a slaughterhouse where the food is the people. The tables turn on the nature of this process and the animals are the ones who chase the people. In this maze you can get “marked” and by doing that, the actors will get closer to you, increasing the scare factor. 3) Aquelarre (Coven): just like The Haunting of Molly Crowe at Alton Towers’ Scarefest, in this maze we’ll be blindfolded and forced to follow a rope through a witchy environment. I’m pretty excited to try this one as it’s a different approach to the classic haunted house we all know. 4) Black Out: we were lucky enough to try a sneak peak of this haunted house. This one is themed to zombies, the point here is that half of the haunted house is inside an inflatable maze in pure darkness! Our only light is a lightning stick that barely lights 1 meter/3 feet in front of you. That added to the narrowness of the aisles makes it a pretty claustrophobic experience. Despite that it’s so much fun because even though the scares are soooo close to you, you will not get harmed as you will bounce on the walls! And that guy is me trying to recompose myself after a final scare. 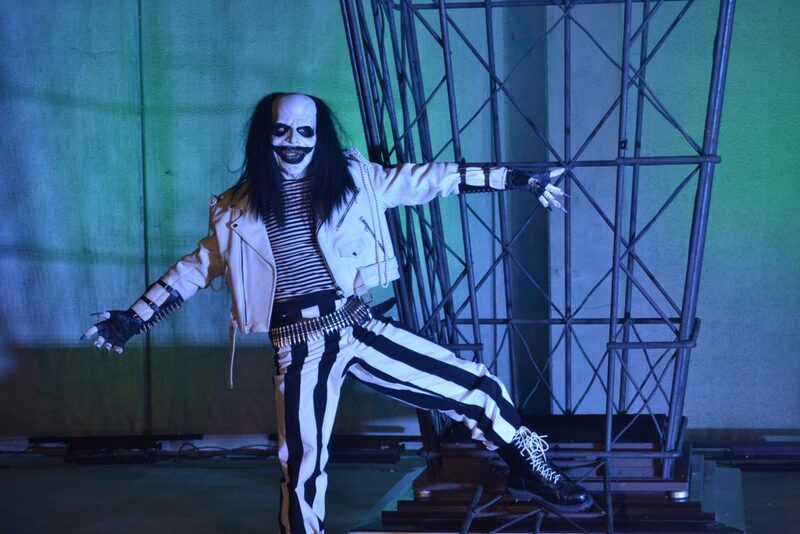 5) Not revealed yet: we don’t have any news about the final maze, but my personal guess, having seen the clown masks and the logo on Horrorland’s webpage, is that it will be at a circus with fluorescent light. Yay! As you might tell, I’m pretty excited for this new park! My first horror event was last year’s Traumatica and I’m really looking forward to experience new horror since then. Needless to say that Horrorland is what I’m looking for, a brand new high quality event made by people who are willing to create a remarkable experience to everyone who visits their park. I can only wish Horror Box and Insomnia Corporation the best on this ambitious project. I will be there in just 2 months and the visit to the press event has only given me more hype! 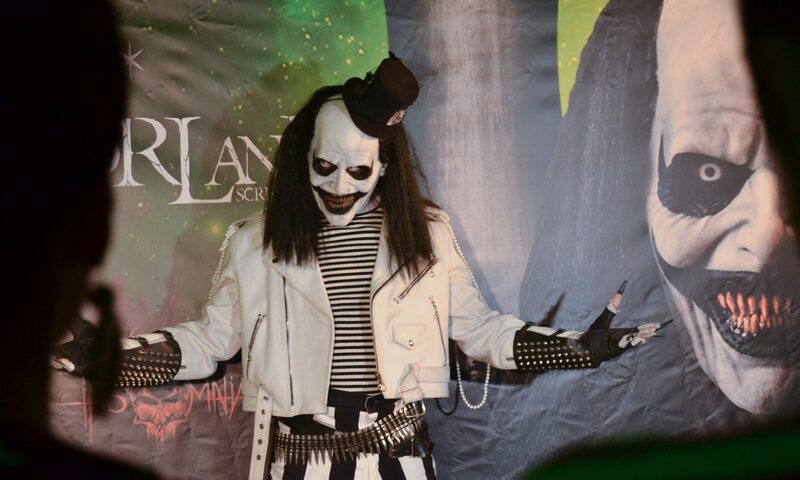 Thanks so much to pa-community.com, as known as PAC for inviting me to the Horrorland presentation! 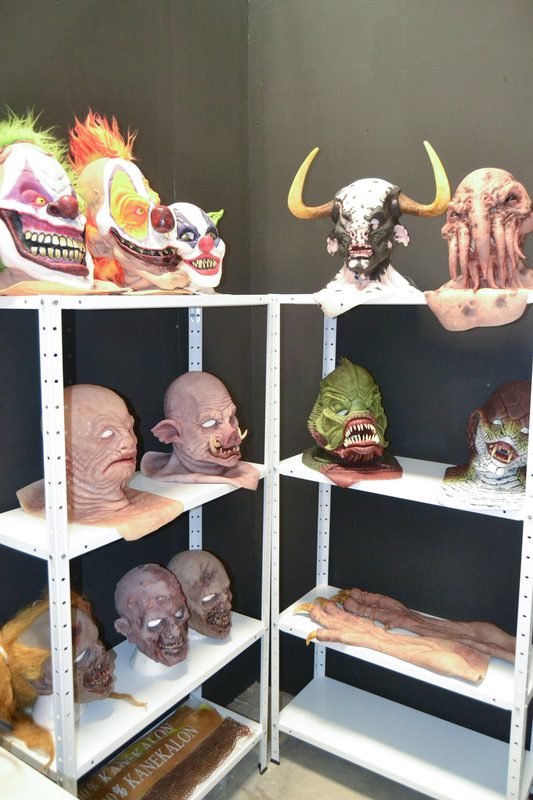 You can check out a Horrorland park guide on their website. 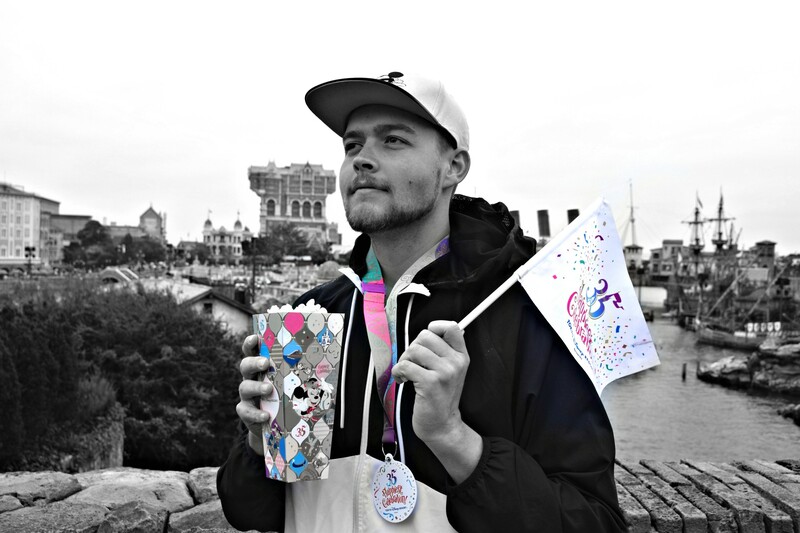 PAC is the biggest community of Spanish theme park fans so it’s definitely worth to take a look, as they also sell tickets with good discounts and the user’s opinions can help you to plan your next theme park trip. 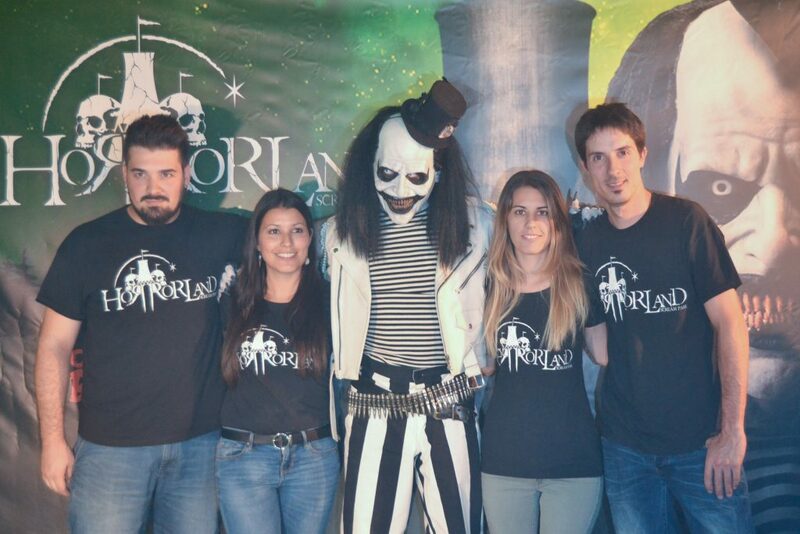 Thanks so much for reading our article about Horrorland! As this is a collaboration with pa-community, some images here can also be found on said website. Please keep in mind that all images found on this site, unless otherwise stated, are owned by California Coaster Kings! Sharing them is fine, but only if credit to californiacoasterkings.com is given! Previous PostPrevious Universal Orlando Update – HHN 28 & New Potter Coaster!